Slim and powerful. After the successful Aero 14, Gigabyte presents its next high-end notebook with a stylish design. Once again, the Aero 15 is attractive thanks to its slim design and long battery runtimes. Learn in this review how the device compares to its competitors from Acer, Dell, MSI, and Razer. 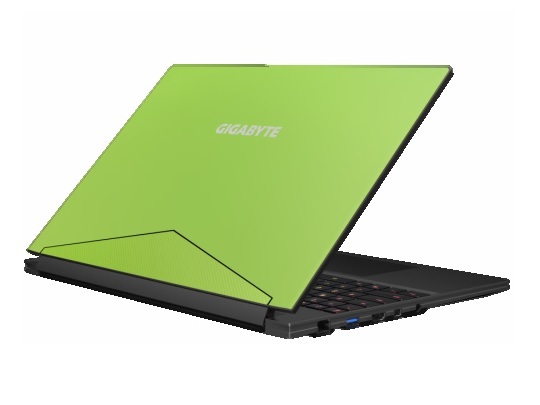 Gigabyte Aero 15 is a high-end notebook with a stylish design after the successful Aero 14. It is a multimedia notebook with gaming capabilities or a gaming laptop with all-around nature. The Aero 15 is attractive thanks to its slim design and long battery runtimes. With a height of only 19 mm (~0.75 in), the 15-inch model appears very slim and can be comfortably transported. The low weight also contributes to the latter: 2.1 kg (~4.6 lb) does not really indicate that a 45-watt CPU and a gaming GPU are inside. The almost frameless display which is only about 5 mm/0.2 in along the top, left, and right edges is another advantage. However, the slim display bezels mean the webcam is placed below the display, which gives it an awkward angle for video chatting. The chassis, which is primarily made of aluminium, is meticulously built and can hardly be twisted even when strong pressure is applied. There are three colour variants of the Aero 15 or more precisely its lid. Apart from classic black, Gigabyte also offers a subtle green and a medium-bold orange. The 15-inch model uses a Core i7-7700HQ and a GeForce GTX 1060. Currently, these components are very popular in laptops from similar price range which offers a good compromise between price and performance. The Kaby Lake processor and the Pascal graphics card are accompanied by 16GB of DDR4 RAM and an M.2-SSD with 256 to 512 GB, which uses either SATA III or PCIe technology. The display is a matte 15.6-inch IPS panel with 1920x1080 pixels. The display hinge which extends over almost the entire width and allows a view of the fan grilles does not show flows. Although the device can be easily opened with one hand, the lid does not wobble too much when the device sits on a vibrating surface. The Aero 15 keyboard is decent. Its travel distance is good for a gaming laptop, with a nice clicky response to the rubber dome keycaps. The amount of force required to activate each key makes it a great option for both typing and gaming. Gigabyte includes full RGB backlighting in the Aero 15 with the ability to individually customise the colour of every key. A user can achieve awesome effects through the Gigabyte Fusion utility. The powerful battery is one of the biggest unique features of the Aero 15: 94 Wh is very big and can be found in only a few performance notebooks. Other highlights include the very slim display frame, which competes with the Infinite Edge design of the Dell XPS 15, and the Thunderbolt 3 port. 83.71%: This rating should be considered to be average. This is because the proportion of notebooks which have a higher rating is approximately equal to the proportion which have a lower rating.